THE once powerful Joice Mujuru’s political career is collapsing like a deck of cards. Her close allies are lining up to desert her following a poor showing in the July 30 elections. Former Zanu PF politburo member and ex-Energy minister Dzikamai Mavhaire last week became the latest party official to dump Mujuru announcing he had joined the MDC Alliance led by Nelson Chamisa. The former vice-president contested her first presidential election as an opposition leader after putting together a coalition of fringe parties that constituted the People’s Rainbow Coalition (PRC) but came out severely bruised. Mujuru was humiliated in the polls won by President Emmerson Mnangagwa, her former fierce rival in Zanu PF. She blamed her loss on a skewed electoral playing field and alleged rigging by Zanu PF, but former senior NPP leaders that have abandoned her to seek new political homes in the rulling party and MDC Alliance believe she was her own worst enemy. Itai Munyoro, a former NPP senior official, said Mujuru’s refusal to join the MDC Alliance ahead of the elections was to blame for her misfortunes. “Instead of pursuing a meaningful coalition, our party went into a coalition with relatively small parties, which only comprised of leadership alone without significant numbers at the grassroots,” he said. In April last year, Mujuru and late MDC-T leader Morgan Tsvangirai signed a memorandum of understanding (MoU) that signified a commitment to work together and to field one strong presidential candidate in the July elections. The two went as far as addressing a joint rally in Gweru, raising expectations that Mujuru would join the MDC Alliance to fight Zanu PF. However, the MoU did not lead to anything and the death of Tsvangirai early this year marked the end of any formal discussions between Mujuru and the MDC. Jeffreyson Chitando, another senior NPP leader who has joined MDC Alliance, said only Mujuru knew why she did not want to pursue an alliance with Chamisa. “The party before elections, well before nomination court, resolved and gave Mujuru seven days to complete the coalition talks with MDC Alliance president Nelson Chamisa, but she did not implement that resolution,” he said. 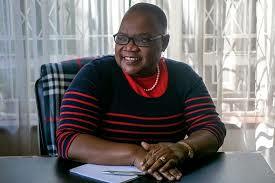 Munyoro said many people who helped Mujuru form the NPP soon after she was dumped by Zanu PF in 2004 for allegedly plotting to topple then president Robert Mugabe were not convinced by her type of politics. “A lot of people who have left both MDC and Zanu PF because of similar problems didn’t see direction of the party at all,” he said. Only four years ago Mujuru’s name was being mentioned among Mugabe’s potential successors. Mujuru, the youngest Cabinet minister at independence in 1980, was leading probably the most powerful faction in Zanu PF that was tussling for control of the party with then vice-president Emmerson Mnangagwa’s group. Munyoro and Chitando said other than Mujuru’s miscalculations in the formation of the PRC, her party was heavily infiltrated by ruling party spies that destroyed it from within. “In some cases it was clear that certain people were on a mission and in others we failed to detect it,” Munyoro said. Chitando said there were strong suspicions that officials that had links with state security institutions disrupted coalition talks to ensure that they would not succeed. “People felt the party was highly infiltrated by state security agents who threw spanners into the coalition talks and all the progressive moves that we would have mooted,” he said. Munyoro said propaganda that the NPP was a Zanu PF creation was also fatal for the party as some people believed the lies. Mujuru’s long-time aide Gift Nyandoro refused to comment, saying he was no longer part of the NPP.